Splendour In The Grass is here and the line up is better than ever! The festival takes place just 15 minutes from Victoria’s Ewingsdale at the North Byron Park lands. 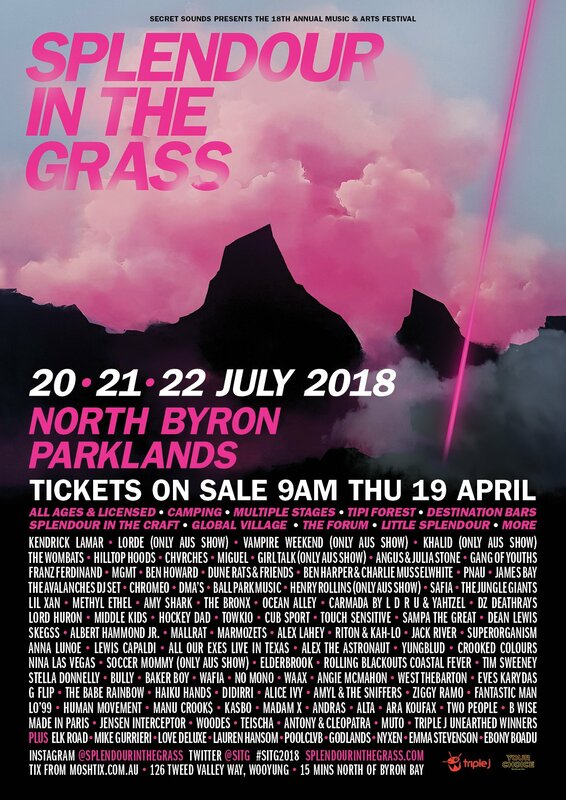 Splendour is a fun filled festival with incredible music, delicious food and brilliant activities. Why not stay at Victoria’s Ewingsdale? It is only a 4 minute drive to the bus stops which will take you directly into the festival grounds. Return to a spacious comfortable room, light the fire and relax… we know that this will be a weekend to remember and we would love to make it extra special for you.